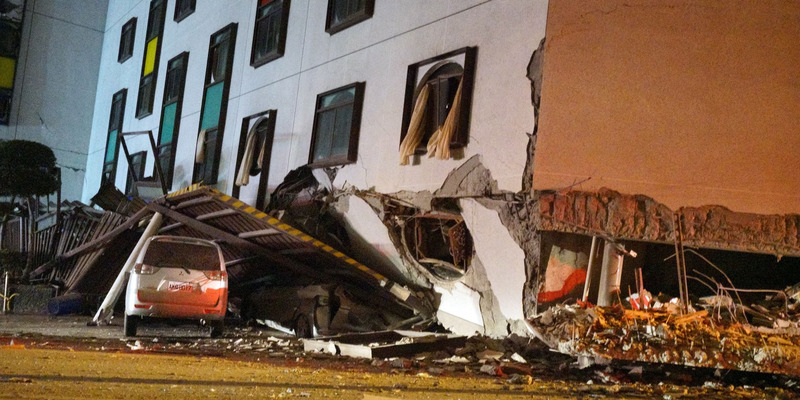 A strong earthquake hit eastern Taiwan on Tuesday night. Another quake hit the island 24 hours later, along with more than 100 aftershocks. Nine people have died and and hundreds more injured. Rescuers fear dozens of people are stuck in collapsed buildings. A powerful, 6.4-magnitude earthquake hit Taiwan’s east coast shortly before midnight Tuesday (local time), killing nine and injuring as many as 265 people. A second 5.7 magnitude earthquake struck the country 24 hours later. It came after more than 180 aftershocks that continued into Thursday morning. Details on the second quake’s impact are still emerging. As many as 62 people are still missing, according to government officials cited by the Reuters news agency. Many are probably trapped inside collapsed buildings on the island. The initial quake originated about 13 miles (21 kilometers) northeast of the coastal Hualien City, where several buildings were damaged and the Marshal Hotel collapsed. 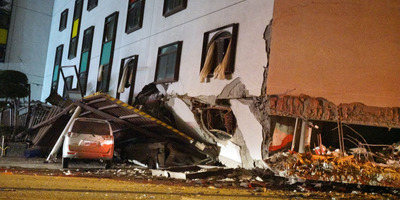 PAUL YANG/AFP/Getty ImagesA damaged vehicle outside the Marshal Hotel in Hualien. Despite aftershocks, no tsunami warnings have been issued. Power has been restored to most, however more than 31,000 families are still without fresh water, according to South China Morning Post. China had offered to assist with the earthquake rescue mission, but Taipei refused.